ISO is International Organization for Standardization, promotes global standardization for specifications and requirements for all types of materials, products, procedures, formats, information and quality management. We assist our clients in getting certifications from food safety management service which aims at controlling and managing the safety and quality of food products throughout the supply chain. The increased demand for safe food, as a result of globalization and international trade, lead to the development of a wide range of standards in different countries. Food safety and quality are of the greatest importance to you and everyone involved in the manufacturing and distribution of food products and services. The cost of a product or process failure is measured in more than just money. It can also do lasting harm to your reputation. 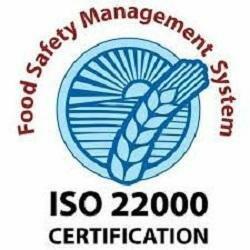 Process LOGIX assists organizations to develop, implement and maintain a food safety management system (FSMS) based on ISO 22000 requirements and get certified to the implemented food safety management system from an accredited certification body as well. Ensuring food safety is a major concern with many governments across the world. In order to ensure that all organizations in the business of food supply comply with food safety standard there are many safety regulations and quality standards that businesses need to comply with. Safe food is a worldwide issue. It becomes very important when there is a peer pressure from consumers, retailers, social groups, and legislative bodies affecting the whole food supply chain. 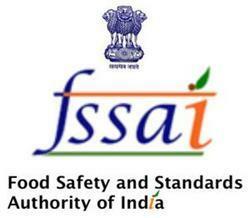 The Answers is an ISO 22000 Registration. The training material are prepared with professionalism invaluable food safety experiences collected over a decade of service experience in the food industry. On request, Gourmet Food Safety Consultancy can provide in-house customised training programs for customer's confidentiality or other reasons. As a quality driven enterprise, we are engaged in providing a range of Food Safety & Standards Authority of India Certification Services. Muslims commonly use two terms to describe every subject as Halal or Haraam. Halal is a Arabic word which means permitted, lawful with respect to which no restriction exists, and the doing and consuming of which the Law-giver, Allah has allowed.